Sony Xperia XZ2 Compact expected price in India is ₹44,990. The most obvious upgrade on the Sony Xperia XZ2 Compact is the screen. Sony has opted for the new tall aspect ratio and increased the diagonal to 5". The screen resolution is now 1080p - for the first time ever on a Compact phone. 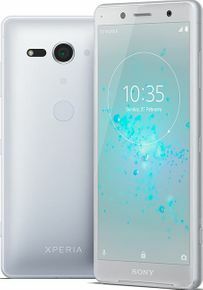 The Sony Xperia XZ2 Compact is small and powerful. It's also chunky and partially plastic, so not the best choice if you want a phone that looks as good as it runs. The Sony Xperia XZ2 Compact doesn’t feel or look as expensive as it is. The Huawei P20 or P20 Pro if you want a phone with striking design and cameras which, once tamed, can produce jaw-dropping telephoto and low-light photos. you'll also get excellent performance, above average battery life and Huawei's most polished software yet, running on the latest version of Android.